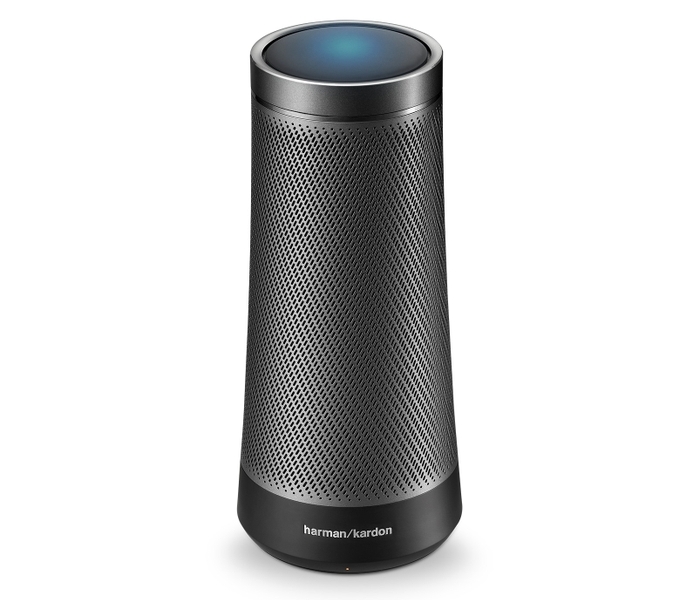 STAMFORD, CONN. – HARMAN International, a wholly-owned subsidiary of Samsung Electronics Co., Ltd. focused on connected technologies for automotive, consumer and enterprise markets; today announced new details of the Harman Kardon Invoke™, an elegant voice-activated speaker featuring the intelligence of Cortana, your personal digital assistant, from Microsoft. 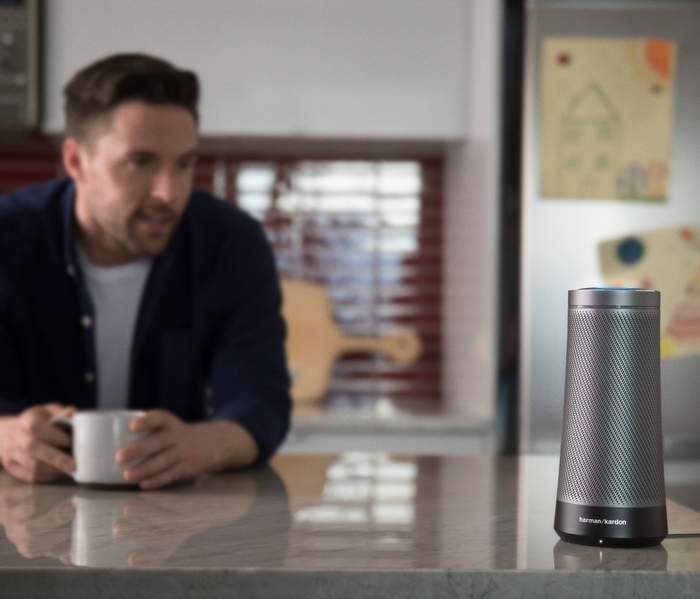 Combining Harman Kardon’s rich audio heritage with Cortana’s intelligence, Invoke is developed for busy people balancing the competing demands of work and home. This sophisticated device is perfect for those who want to make the most of every moment of their day. 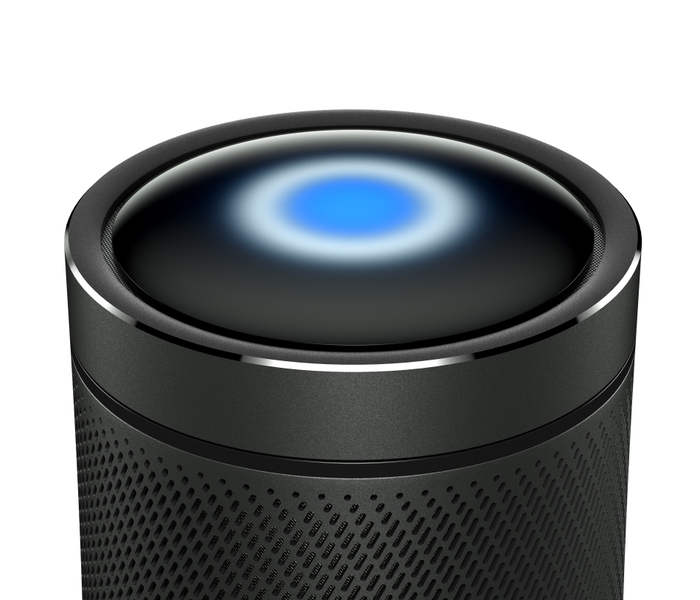 Invoke, with Cortana, is a voice-activated speaker that can play your favorite music, manage calendars and activities, set reminders, check traffic, deliver the latest news and much more. With Skype integration, you can make calls to cellphones, landlines and other Skype-enabled devices. You can also control your smart home devices using voice to do things like turn out the lights or control the temperature. Cortana is used by more than 145 million people across devices and platforms with best-in-class natural language recognition and deep integration with Microsoft’s suite of knowledge and productivity tools, helping the user stay productive whether at home, the work place through a Windows 10 PC or on the go with a mobile device. Available in Pearl Silver (White) and Graphite (Black), Invoke has a sleek, modern design that enhances any home. Crafted from premium materials, Invoke’s striking metallic speaker cabinet delivers power and projects sound a full 360-degrees, filling even a large room or space. Harman Kardon’s unparalleled sound reveals all the beautiful details in your music. 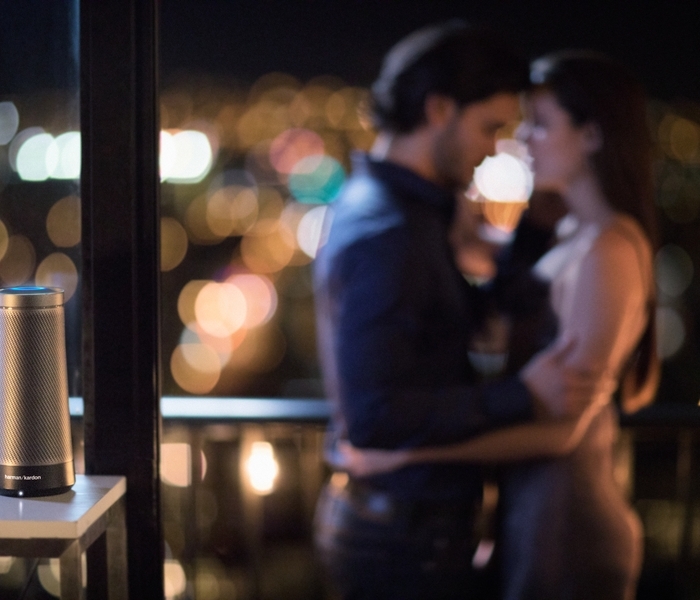 Flawlessly blending form and function, Invoke is equipped with easy to use features, like a ‘touch to surprise’ user interface panel at the top of the speaker, interactive Cortana lighting, and intuitive buttons. It is the first of its kind to feature Skype integration, allowing users to make and receive crystal-clear, hands-free calls. 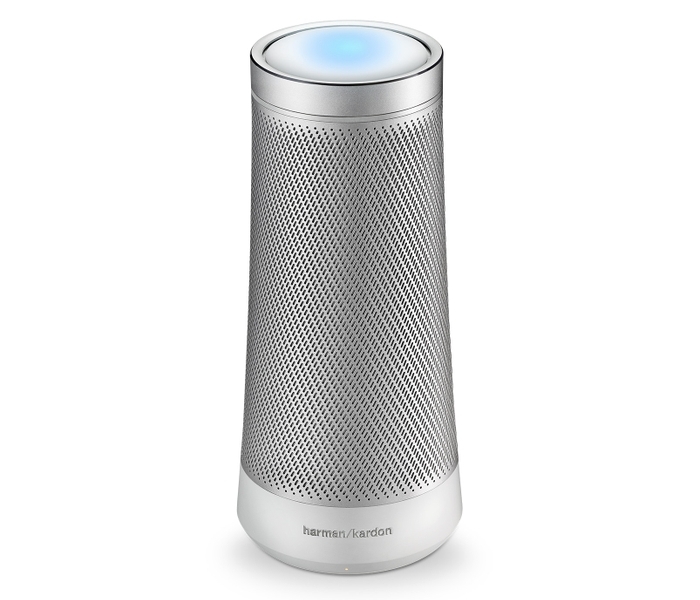 Invoke is outfitted with HARMAN’s SONIQUE™ far-field voice recognition technology. It is a proprietary 360-degree adaptive technology (featuring 7 microphones) that recognizes all details of voice commands even in environments with high ambient noise. 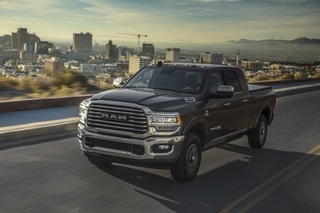 It uses HARMAN’s beam forming, echo cancellation, and noise reduction algorithms to ensure Cortana can hear you, even in challenging environments. 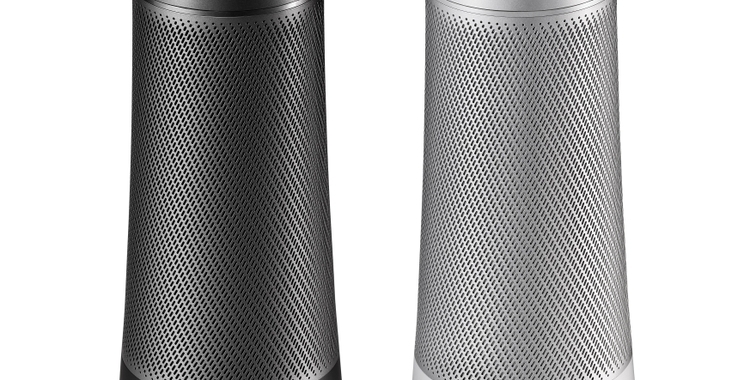 Harman Kardon high-quality sound featuring 3 woofers and 3 tweeters give full range, true 360-degree sound. The 2 passive radiators are tuned to give a solid bass performance from a small enclosure. Cortana is your truly personal digital assistant designed to help you be more productive. Cortana can set reminders, make lists, manage calendars, provide answers to questions, and much more. Cortana also works across devices, including PC and mobile, so she’s there whenever you need help. Make and receive hands-free calls to cell phones, landlines, and any Skype-enabled device. Control your smart home devices including lights and thermostat and more. 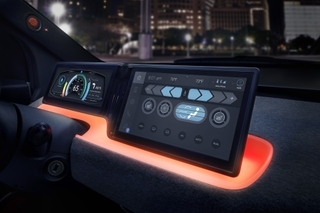 Featuring 7 microphones embedded into the speaker, using Harman’s beam forming, echo cancellation, and noise reduction algorithms to ensure Cortana can hear you, even in challenging environments. © 2017 HARMAN International Industries, Incorporated. All rights reserved. Harman Kardon, Infinity, JBL, Lexicon and Mark Levinson are trademarks of HARMAN International Industries, Incorporated, registered in the United States and/or other countries. AKG is a trademark of AKG Acoustics GmbH, registered in the United States and/or other countries. Features, specifications, and appearance are subject to change without notice. Microsoft, Cortana and Skype are trademarks of the Microsoft group of companies. Features, specifications, and appearance are subject to change without notice.